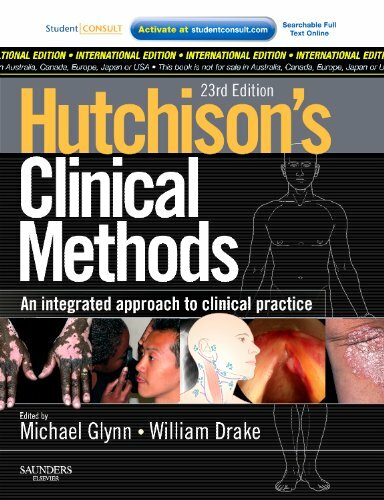 Hutchison's Clinical Methods, first published over a century ago, is the classic textbook on clinical skills. It provides an outstanding source of learning and reference for undergraduate medical students and postgraduate doctors. It seeks to teach an integrated approach to clinical practice, so that new methods and investigations are grafted onto established patterns of clinical practice, rather than added on as something extra. The text is organised so that both system-related and problem-oriented chapters are included. Particular emphasis is placed on the importance of the doctor patient relationship, the essential skills needed for clinical examination and for planning the appropriate choice of investigations in diagnosis and management.